Hold on tight to your decorating budgets, here’s some furniture to enchant and captivate in swoonworthy colours and forms. The problem will be working out how to get it here from France, especially when the rather sparse Laurette Deco website is only for the French-speakers or those who like to use Babelfish! No matter, just sit back and enjoy the visual feast of perfection in furniture which Laurette Deco provides. 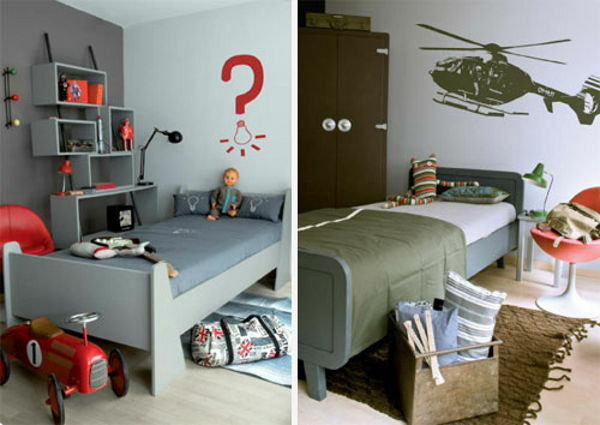 I love the unique decor ideas these photos give us, especially for boys’ rooms. Give me a beautiful armoire like this any day! I wonder if they sell that incredible storage unit? I spy some mid-century influence here! What could be cuter than a miniature kidney-shaped table and co-ordinating but non-matchy beds in a shared bedroom? 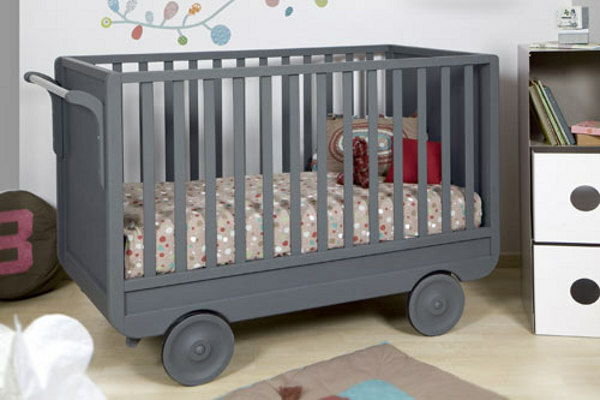 Here’s a girly take on one of the bed models. Pink and grey… totally, utterly stunning. I bet she has an Eeni Meeni Miini Moh wardrobe to match! Can anyone identify those prints on the wall? 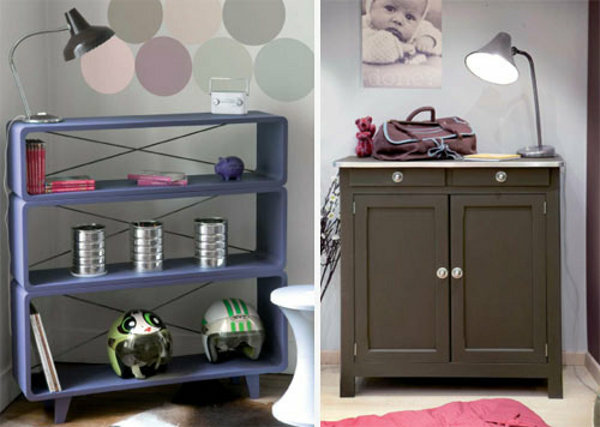 Lastly here’s a bookcase to die for, plus a lovely cupboard which could double as a change table for the first few years. We hope you loved this window into furniture heaven – I just lost a fair bit of my life ogling the pieces. Time well spent if you ask me! Update – Laurette Deco will ship to Australia and it now has a brand new website!